Infinite CBD sells a variety of products made from the purest, all-natural CBD isolate available. 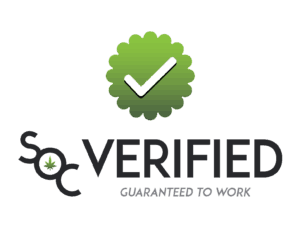 CBD isolate is the most concentrated form on the market, containing 99% pure CBD. All of their products contain less than .1% THC so you won’t get high but still get the health benefits of the cannabis plant. They add no harmful additives or chemicals to their products. 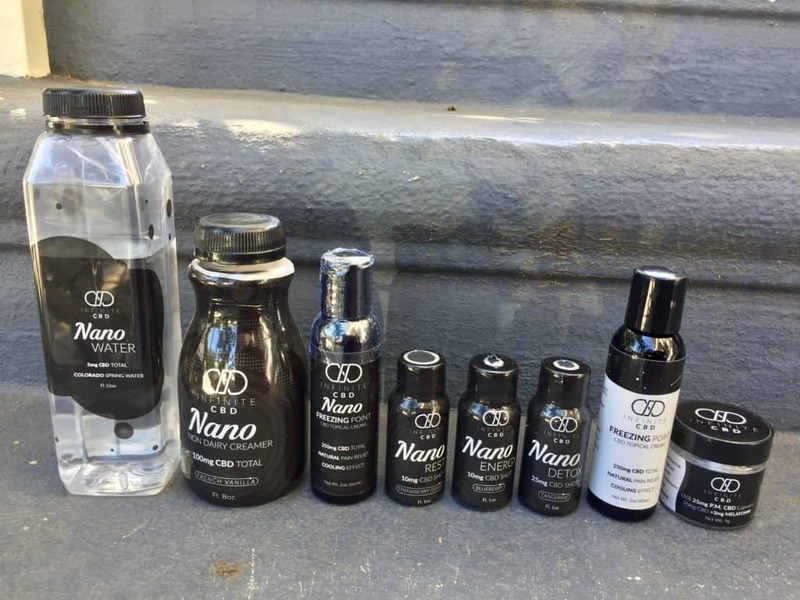 Many professional athletes like UFC fighters, cyclists, and soccer players use Infinite CBD to help them train harder and improve during recovery. As an added bonus, the company offers yummy recipes like their homemade CBD Spice Latte. Sign me up! 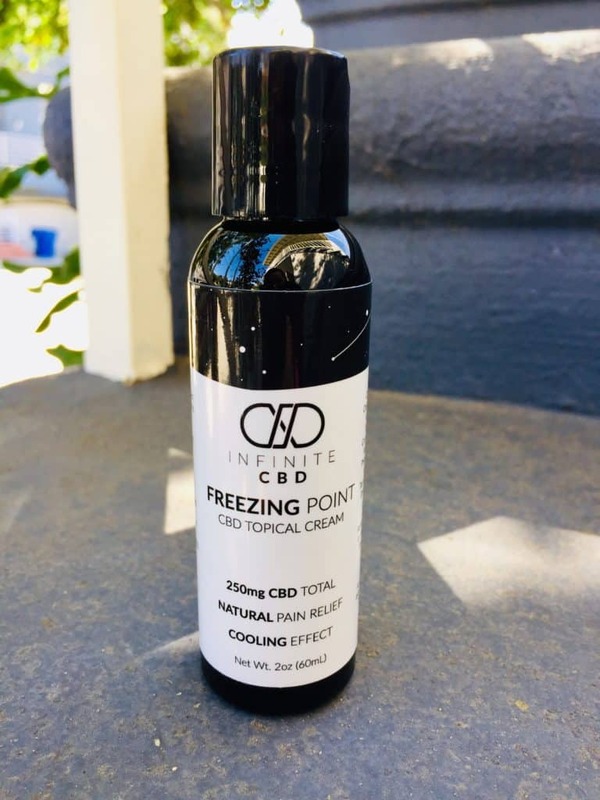 The Infinite CBD Freezing Point Topical Cream has 250 mg of pure CBD isolate and includes a variety of all-natural ingredients with healing properties, like peppermint oil, for example, a natural pain reliever and muscle relaxant. The cooling effect of the cream is useful for joint pain, muscle swelling, and tightness. The cream will also moisturize dry skin. Athletes swear by the Freezing Point Topical Cream for everyday physical health. UFC Fighter Eryk Anders said, “I love Infinite CBD. It’s awesome because it helps me recover after long workouts.” If you’ve seen his work (and tattooed muscles), you know this guy means business. 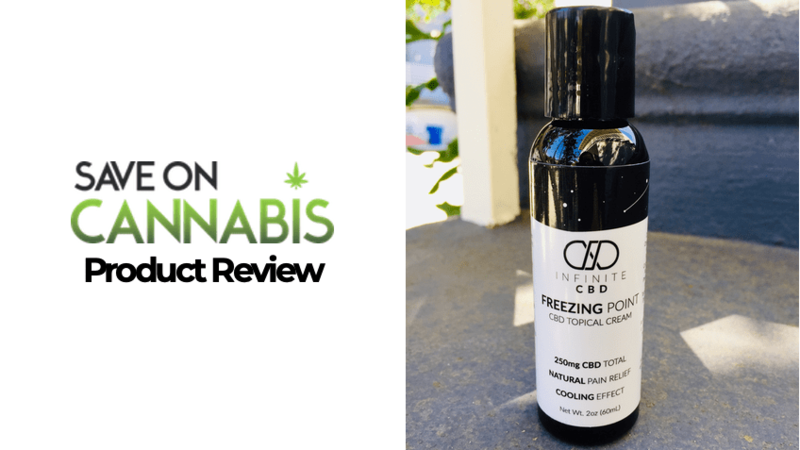 Excited to add Infinite CBD Freezing Point Topical Cream to my workout routine! Directions: Apply the desired amount to sore muscles or inflamed areas. Massage area until absorbed. Repeat as necessary. I’ve been looking for the perfect CBD topical cream for my lower back. I recently bought a new mattress that is THE WORST. I thought an extra soft, pillow-top mattress would make me feel like I’m sleeping on a cloud, but instead, I sink into it like I’m being swallowed by the Sarlacc from Star Wars, and I wake up with lower back pain every morning. So, I need a new mattress. But in the meantime, I’ve been trying different products like Aspercreme and Tiger Balm. What I like about those products is the “cooling effect” on the muscles. 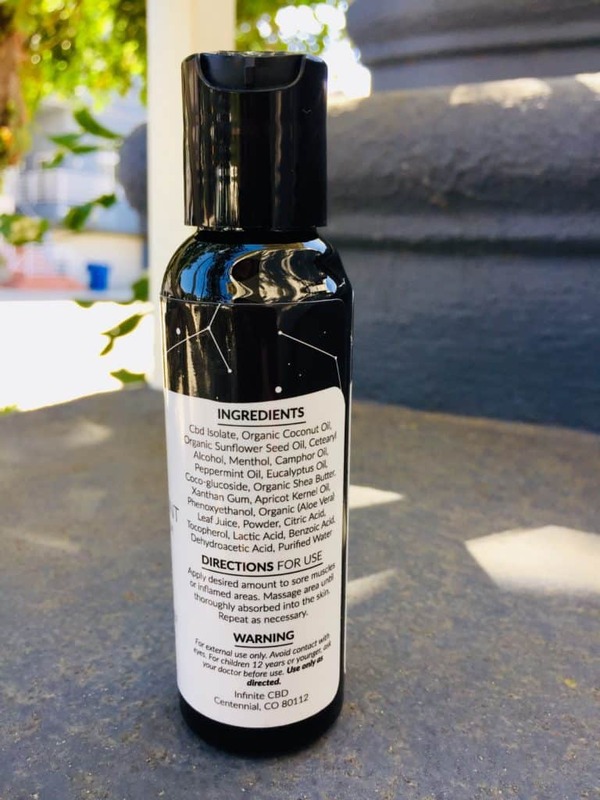 I’ve had great results with CBD lotions in the past but not all of them have the ingredients to create the “cool” that I’m looking for. The Infinite CBD Freezing Point Topical contains peppermint, eucalyptus, and menthol, all ingredients needed for the effect I seek. My hope was that the CBD, in combination with the other essential oils, would ease the pain in my poor back. When I woke up after a horrible night’s sleep, I rubbed some of the lotion onto my lower back. I massaged some of the topical cream onto my aching lower back. The Freezing Point Topical Cream was effective like Aspercreme in cooling down my aches. It went on smooth and seeped into my skin so I wasn’t left oily like some lotions that contain essential oils. As an added bonus it worked as a really nice hand lotion that left my hands soft and smelling delightful. The combination of easing my pain and the invigorating smell of peppermint and eucalyptus inspired me to get out of the house and move! I can see why athletes like this stuff and use it before and after workouts. Next time I’ll get the 8 oz bottle because I imagine I’ll be using up the travel size soon. 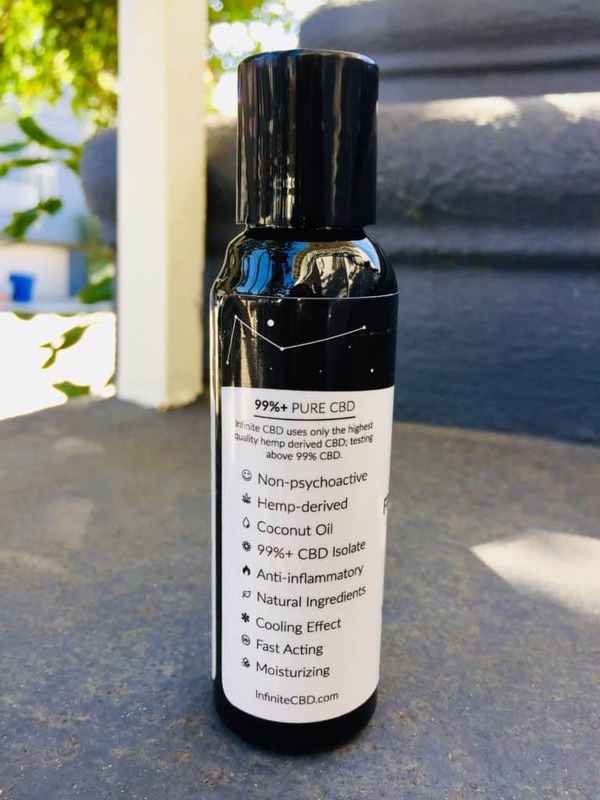 Not only does this product give you the benefits of CBD, but the other ingredients are each uniquely effective. Camphor, for example, is a terpenoid found in the wood of camphor laurel trees and it naturally reduces pain and inflammation. The apricot oil naturally firms and tones your skin. And the menthol can help with minor musculoskeletal problems like sprains, arthritis, and cramps. A lot of great information on the package! It helped my back pain, loosened tight muscles, and was moisturizing. High quality, all-natural ingredients each with awesome health benefits. The cream smelled amazing, like essential oils and was easy to apply. It’s more expensive than Aspercream but can be used for more ailments so worth the extra cost. This is one of my favorite CBD topicals because of the wide variety of ingredients that are all beneficial to your bodies aches and pains. Some CBD lotions and potions use just hemp and coconut oil, so you’re left smelling like food. I like the extra effort they put into this lotion to make it not only effective but smell nice. 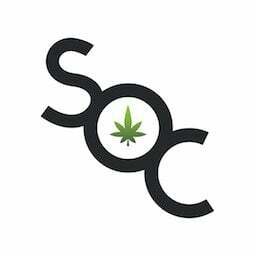 Save money with CBD Topicals coupons here at Save On Cannabis the World’s largest online cannabis coupon code directory.